The NEC SB-04HC is internal 3G/HD/SD-SDI card for large-screen LCD displays and installation projectors. You can enjoy seamless integration within your display or projector with it, an internal card that provides 3G/HD/SD-SDI capabilities and achieves broadcast-grade video over a single cable. 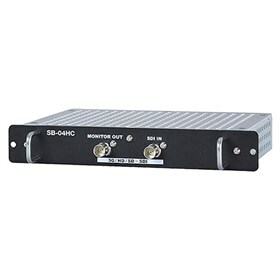 The NEC SB-04HC has many exciting features for users of all types. The NEC SB-04HC is sold as a Brand New Unopened Item.